My first visit to Ranthambore was in 2008 when for the first time T28 was seen in Berda region (the tourist zone) during winters. 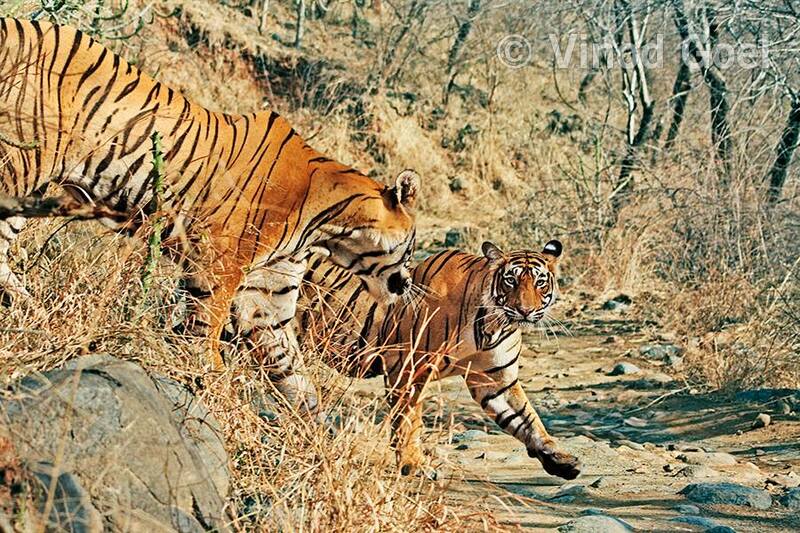 However I saw the courtship of T28 and T 19 in Nalghati on 25th May 2009. What a memorable shot as there were only 3 of our vehicles. It bears a star mark on the left eye which gave this name to him. 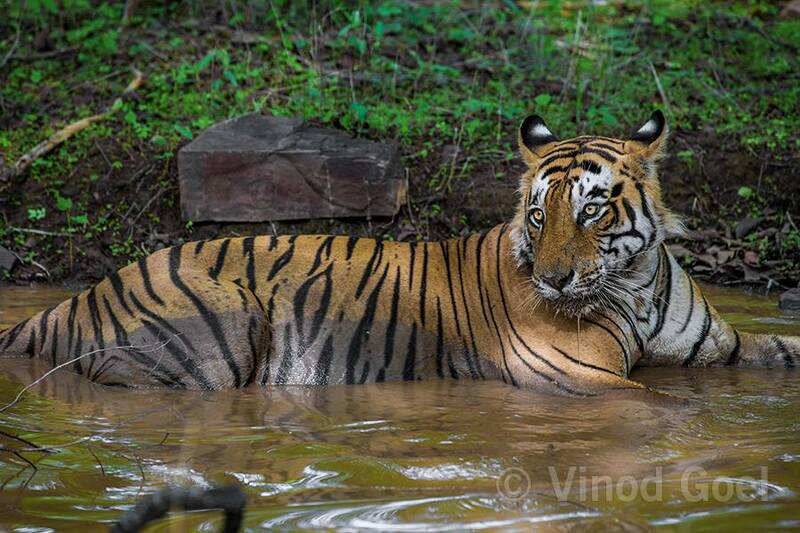 I must say that he was the real star who contolled the most famous tigress Machhali (T 16 ) and two of his daughters namely Sundari (T 17 ) and Krishna (T 19 ) and the most prime area of the park for more than 9 years. During May visit in 2013 June I again observed T 28 from a close distance when he was cooling off in a waterhole after a heavy lunch.